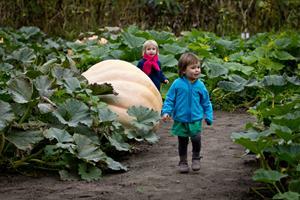 The pumpkin craze started more than 20 years ago with a single event, Pumpkin Day on the last Sunday of October. In the meantime, October pumpkin month has grown into a large-scale folk gathering with many events and activities and has resulted in a special culinary offering by our many high-quality hotels, restaurants and pubs. Using home-made giant catapults, the participants try to throw pumpkins as far as possible. Spectacle guaranteed. A large arts & crafts market where you can taste lots of (pumpkin) delicacies and where the heaviest pumpkins are weighed. This kayaking competition in large hollowed-out pumpkins is unique in Belgium. Fun for young and old.